Austria = skiing. 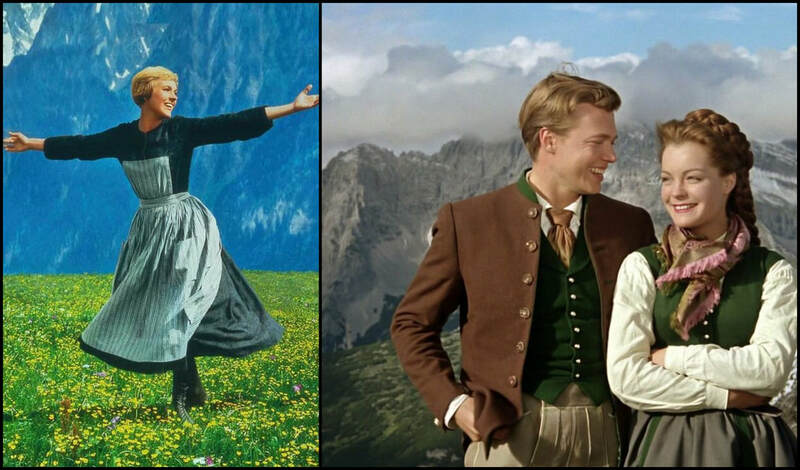 Sure, Austria might trigger the necessary connotations with Sissi (Die Junge Kaiserin) and the holy musical-of-all-musicals The Sound of Music, but that all leads back to the same damn thing: Mountains. Skiing. Snowboarding. Give it to me. 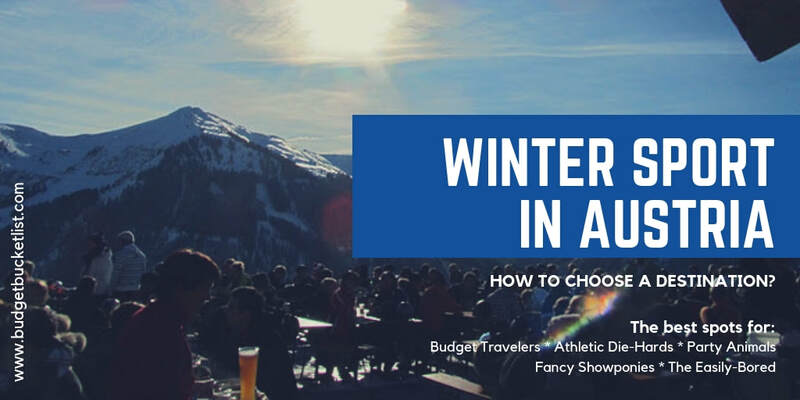 Now, the supply of straight-out-of-a-fairytale Tiroler-style mountain villages entirely catered to the needs of powder devotees is substantial, and so is the likelihood to lose your head in the process of selecting one. Which is why I’m your friend. I’ve been there, winters in a row, every time in a different crack of the Alps. I’m not claiming anything admirable when it comes to my ski-souplesse, but I compensate with my enthusiasm (especially after-hours, glühwein and humpa-humpa music is Austria’s secret ingredient to ski-conversion). I organized the avalanche of online information for you. Your only input is some honest self-reflection… so tell me, what kind of a traveller are you? As you’re visiting a website called Budget Bucket List odds are travelling on the cheap is your main aim. I feel you. That’s why I did some research for you and scanned through the recent price lists of all 6-day lift passes available in the country. The cheapest deal of all I found in a place called Alpl (bei Krieglach), where you can hit the slopes for a lousy €81… which means *quick maths* a jaw-dropping €13,50 a day. What does that buy you? Not too much (Austria-wise), to be entirely frank with you: 6 ski lifts, about 8km of ski runs of which 14% black, 57% red and 29% blue. 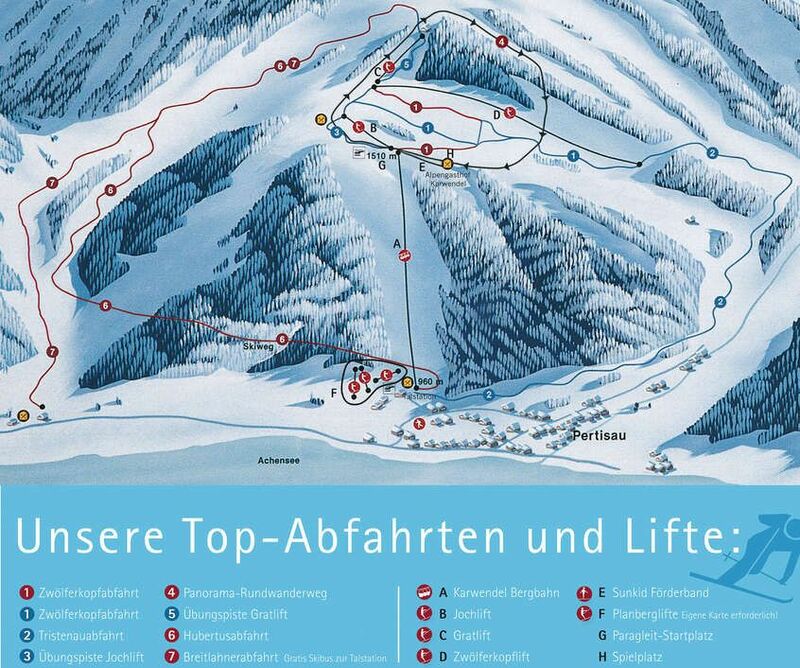 A comparable one is the Karwendel Bergbahn in Pertisau, where the 6-day-damage comes down to €130 (about €21 a day), offering you 6km of red and 6km of blue accessed by 7 lifts in total. Certainly doable, but if you’re going to spend 6 full days on slats you might want some extra challenge. Which you’ll most definitely find in Tirol… in Brixental – Skiwelt Wilder Kaiser to be more precise, where you’ll be treated on 33km of black slope, a whooping 129km of red and 122km of beginner-blue, all accessible by an impressive amount of 90 ski lifts. Obviously, the price goes up a tad with that much on offer (6 days: €211,50 – €35,25 a day), but when weighing cost against overall ratings, this one gives the biggest bang for your buck. * All prices quoted date from 2019, adult fare. Discounts available for seniors, teenagers and children. Click on maps to enlarge. Just a beginner? Well, that’s the biggest budget advantage of all! As a general rule, lift prices go up when elevation does, but what use is that if you can only conquer the green and mild blue slopes anyway?! Austria is packed with small 1- or 2-lift ski slopes, some as cheap as €5 a day (Zederhaus / Rossbachlift Nassereith / Hochgallmig / Maria Schmolln). 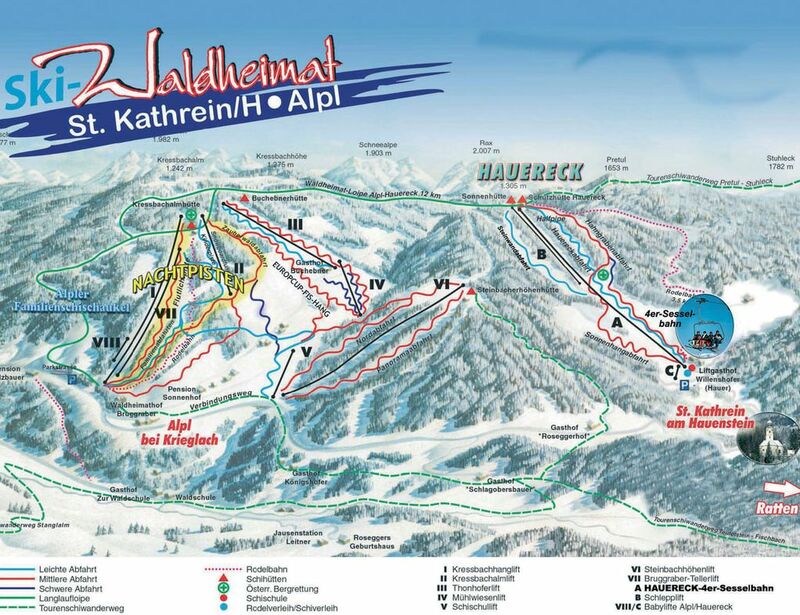 The tiny Reith’s Skiarena (in Kitzbühel) is even free of charge! Make sure you go in January – December though to increase the chances of a thick pack of snow at these lower elevations. Are tough challenges and serious exercise your main decision-making factors? 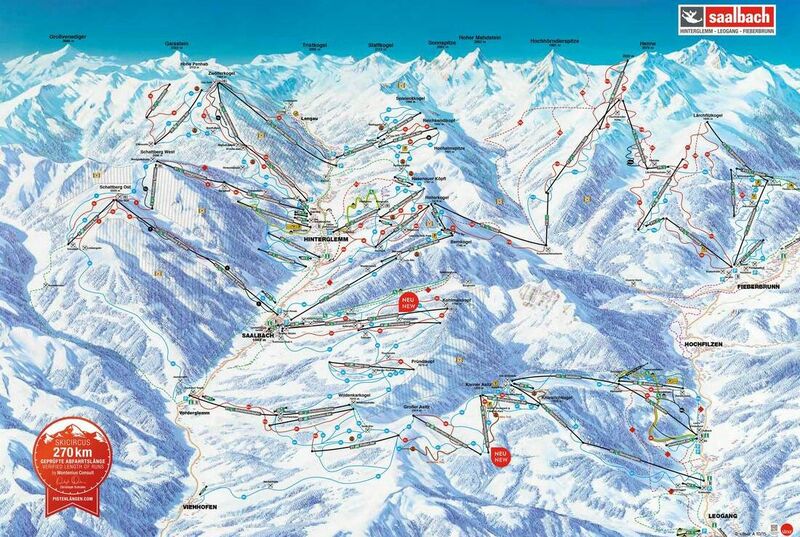 Then Mayrhofen is your top pick. 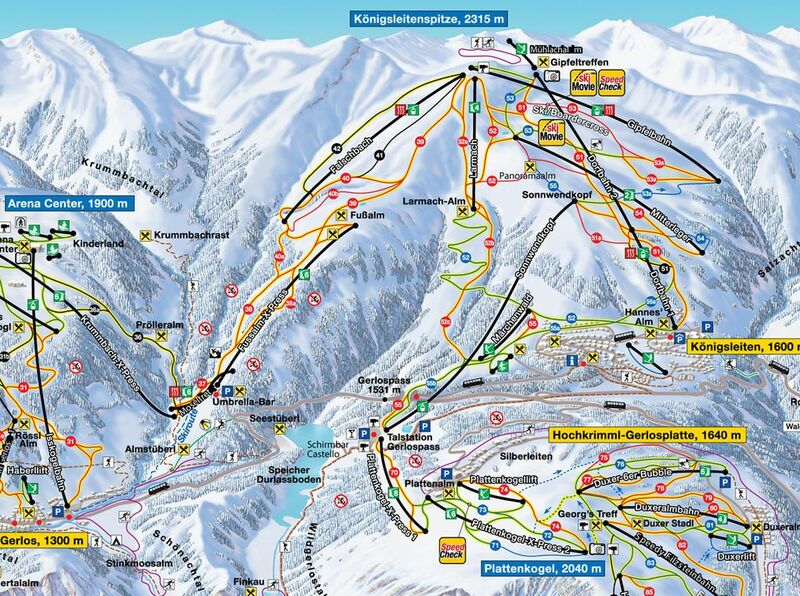 Sure, I can likewise recommend St. Anton, Silvretta Montafon and Kitzbühel… but I like Mayrhofen. Those 139km of perfectly groomed slopes and 58 fancy-pants cable cars smack-bam in postcard-perfect Tirol is simply not something I can easily forget. Bold blood pumping through your veins? Off-piste skiing and snowboarding is one of the country’s best in this divine spot… I’ve been told. Personally I’m more of a well-prepared-slopes-kind-of-gal, for which I had endless opportunities with my Zillertal ski pass, stretching far and wide all the way through the Hintertuxer Glacier (of which the patch proudly travels along on my backpack until the day of today!). 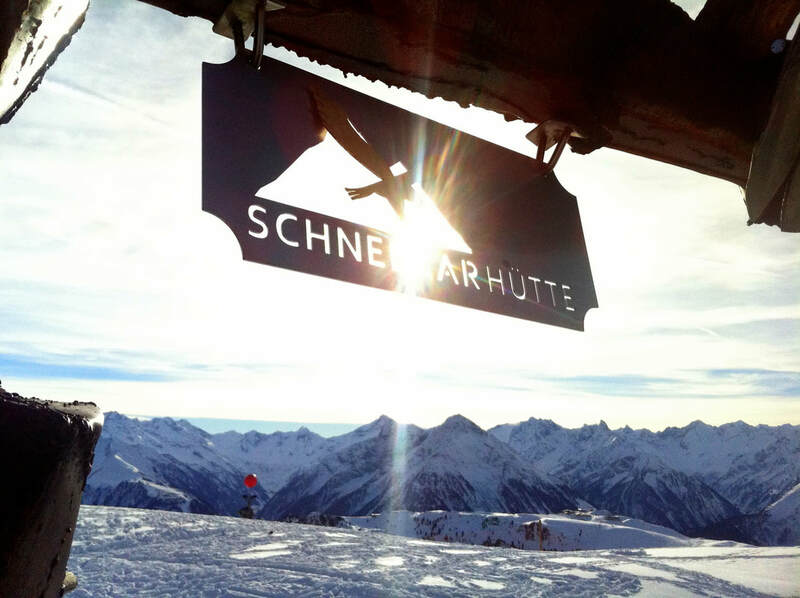 Advanced skiers and snowboarders can find everything their wintry hearts desire in a place that simply doesn’t contain any flat sections (you have to take a lift up and down to get to the beginning of the slope… it doesn’t stretch into the valley and center of Mayrhofen). Want to go all the way? Austria’s steepest slope of all, the Harakiri, can be defeated right here! Something with David’s and Goliath’s…. I might not be a remarkable eye catcher when descending the mountains, but I certainly am when ascending the bar when night falls. 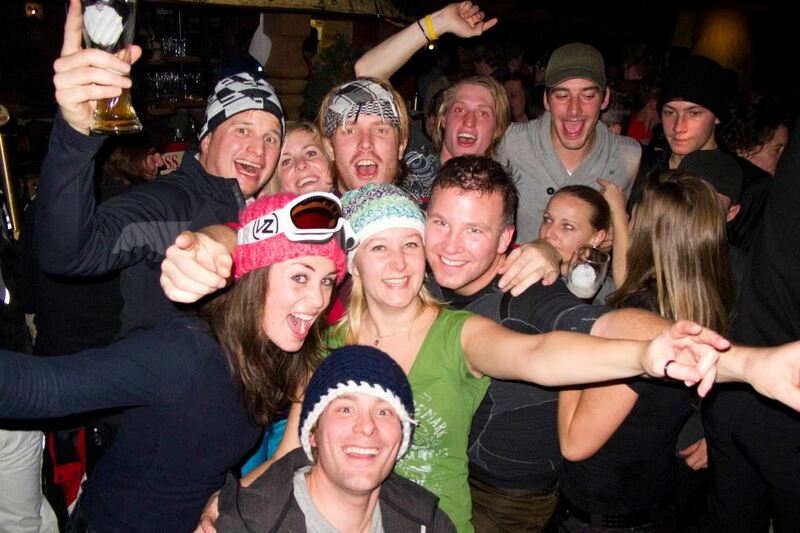 Even though we generally use the French word for it, when it comes to après ski Austria goes home with the first price (trust me, I’ve skied in La Plagne and Val Thorens as well – Austrians go harder than the well-behaved Frenchies). Although I generally blow up my speakers with strong doses of death metal, during winter sport holidays I forget all of that and flawlessly exchange it for pumping humpa-humpa, flushed away with a steaming cup of glühwein. Honestly, there’s no bad choice in Austrian destinations when it comes to midnight entertainment, but Saalbach-Hinterglemm (Zell am See district) takes the crown. Humpa humpa humpa TE-TE-TEEEEE! Hey, wir wollen die Eisbären sehen, wòòòòhooohooooohòhó!!! Uuuuuund ich flieg, flieg, flieg wie ein flieger, bin so stark, stark, stark wie ein Tiger! Your turn, sing along! 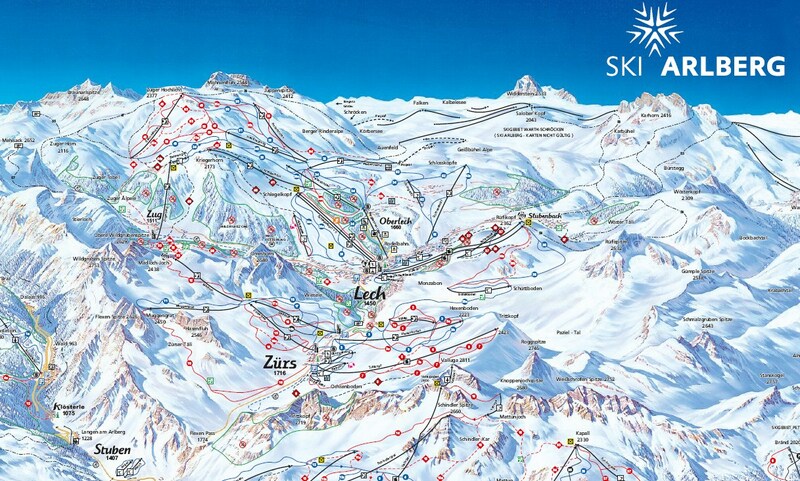 … and you can ski the hangover away with a splendid 270km of slopes, don’t forget about that! I know some people who ski here every year. Their dads are doctors, lawyers and real-estate big shots. Lech isn’t the first go-to for cheapskates (like me), but triggers an irresistible desire in those who have the big bucks and are not afraid to show it. Especially on Instagram. 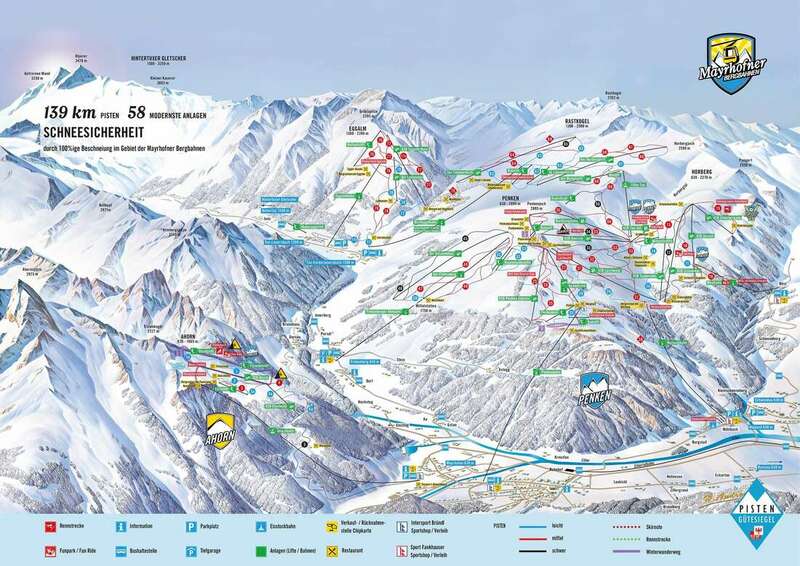 Besides the shallow prestige, you’ll buy yourself into 305km of slopes (of which 51km black, 123km red and 131km blue) accessible by 85 lifts, as well as high-end fine dining and top-notch accommodation. You might even run into the Dutch Royal Family, that goes here every single year to blow away our tax money while the country’s low- and mid-income families have to work away the state’s national debt. I love skiing. Like, a lot. But my brain struggles with monotony. It doesn’t matter what activity you give me, if you let me do it for a week in a row from dusk till dawn I’m gonna grow tired of it (which is why I’m weekly moving places for 4,5 years already). Complicated, I know… but I know there’s more of you trigger-thirsty m-fuckers out there ;) Yes, looking at you. Luckily there’s a place for us listening to the idyllic name Königsleiten. It’s part of the bigger Zillertal Arena (incl. Zell am Ziller and the rather tacky Gerlos). Besides an excellent 169-km slope-network, a virtual 100% snow certainty at 1600-2315 meters height and ski trails starting right at your front door, there are a ton of other activities to entertain the restless soul. Langlaufen, bobsledding and sleighriding are only a few of the many options. Don’t forget your hiking boots, as Königsleiten offers terrific strolls during all seasons to natural treasures such as the Krimml Falls, Durlassboden Reservoir and Blausee. There’s an observatory and planetarium for your nightly stargazing and there are even trendy escape games and swimming pools. ​Will a week be enough? Special thanks to the Vermeulen Family for taking me to Austria so many times and planting the seeds of my snow addiction. More winter sport blogs? Budget Bucket List is currently in Romania for some serious low budget skiing… stay tuned! - Skiing down-under: The slopes of New Zealand!